If shoot-em-ups were thirst-quenching beverages, Exerion would be watered-down Gatorade: there’s a hint of flavor in the mix, but after a few sips, you’ll be yearning for something more substantial. When you start Exerion, the first element you’ll notice is the parallax scrolling. The game simulates controlling a space craft across an alien landscape at high speeds, while waves of squiggly lines, atomic models, and other seemingly inanimate threats to mankind, race towards your ship. 1983, the future was thirty-one years ago, etc, and indeed, the background scrolling remains a neat trick today. Unfortunately, the scrolling juxtaposed against the enemies’ movement patterns is jarring and borderline nauseating. 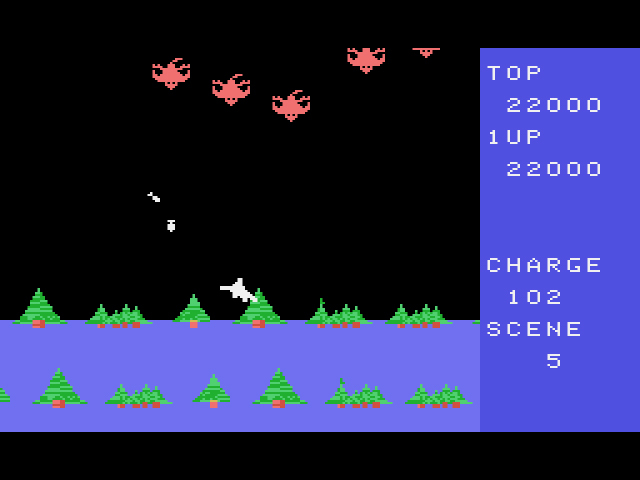 The hills in the background roll along like sine waves, while enemies fly horizontally, vertically, and diagonally across the screen. Every bit of movement – including the ship you control and the enemy fire – commands your attention. Thus, it’s best to focus on your ship and the enemies, while tuning out the background completely for minimum dizziness. Nothing says Medusa heads like a flooded forest. Each level is comprised of four waves of the same style of enemies. Your ship has two attacks: an unlimited double-shooter that shoots two bullets at a slower pace, and a fast, but limited single shot. One might think the double shot would be the more effective weapon because it has a wider range, but it’s too slow to be useful beyond the first couple stages. You do need to employ the double shot to refill your single shot arsenal, but aside from that, the single shot is a quicker, cleaner kill. Once you’ve destroyed or avoided the waves of enemies (if you want, you can let the enemies pass you by and move on to the next wave – you won’t get any points, but it’s a peaceful way to progress), the background shifts, and you’re onto the next level. Six levels and Exerion repeats. 1983 might be the future, but the thought of constructing more than a few levels made developers’ brains pucker. The most dangerous animal of all is not man: it’s broccoli florets. If you can get past the super neat-o futuristic background movements not gelling with the rest of the game, Exerion is completely playable. Considering, though, that the SG-1000’s library already contains shmups like Sega Galaga and Star Jacker, why settle for a watery sports drink when you could have Henry Weinhard’s Private Reserve Root Beer? Unless you’re just a communist and you don’t like root beer, in which case, you should probably stop reading these reviews. Exerion? I remember that game, but I never owned an SG-1000. I do, however, remember my eyes suffering extensively from the backgrounds, as well as not being able to actually see the ship I was playing as at points, so I guess I must have given it a go, though I can’t think where. 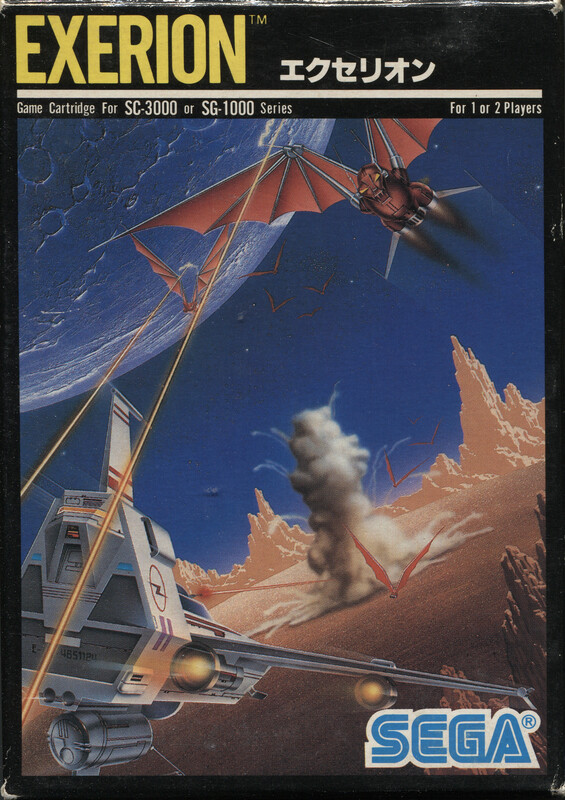 I’m also pretty sure there was a sequel on the MSX computer, because I can quite clearly remember playing that one. It had the advantage of making the ship black so that you could always see it against the (admittedly still nauseating) backgrounds. Yeah, the ship and enemies occasionally blend in with the background, further adding to one’s headache. Forgot to mention that in the review. 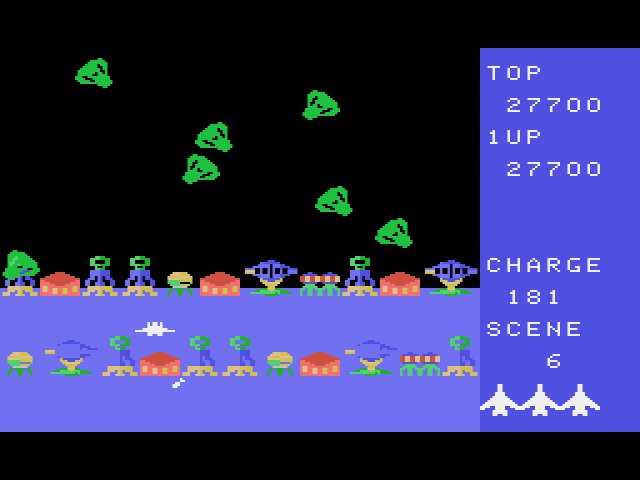 The arcade original is actually quite fun. I intended to play a little of it but ended up getting addicted. It would probably be even be better with the flight-style stick the arcade has.